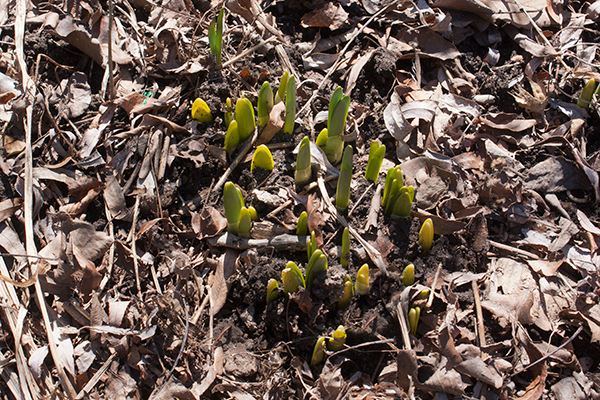 East Village Today: It's Springy! It's Springy in the East Village! 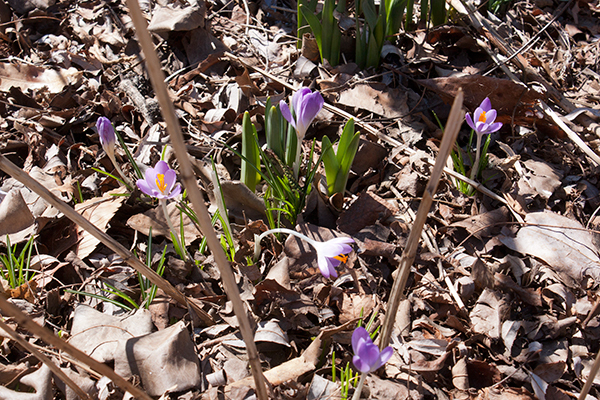 if it stays sunny, keep an eye out for the bees that will visit the crocuses (purple flowers). they will go nuts over fresh nectar! 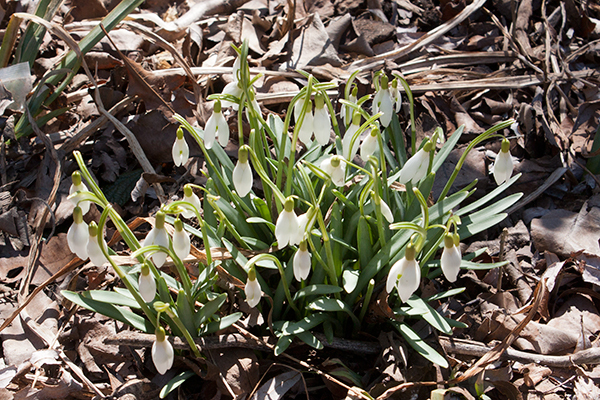 for some reason, bees do not like snowdrops (white flowers). You know the names of flowers! You're so gardeny!